Maurepas High's Keegan Marchand (33) drives up the court against Family Christian's Jamila Smith (11). Maurepas High's McKenna Lessard (15) looks for space to shoot against a Family Christian double team. Maurepas High's Morgan Leblanc (40) shoots against Family Christian's Khilyn Williams (55). Maurepas High's Sarah Crawford (10) shoots a 3-pointer. Maurepas High's Sloane Berecegeay (32) shoots a layup against Family Christian's Khilyn Williams (55). MAUREPAS --- It didn’t take long for Maurepas girls basketball coach Brittany Lauzervich to zero in on the problem for her team in its game Monday against Family Christian. 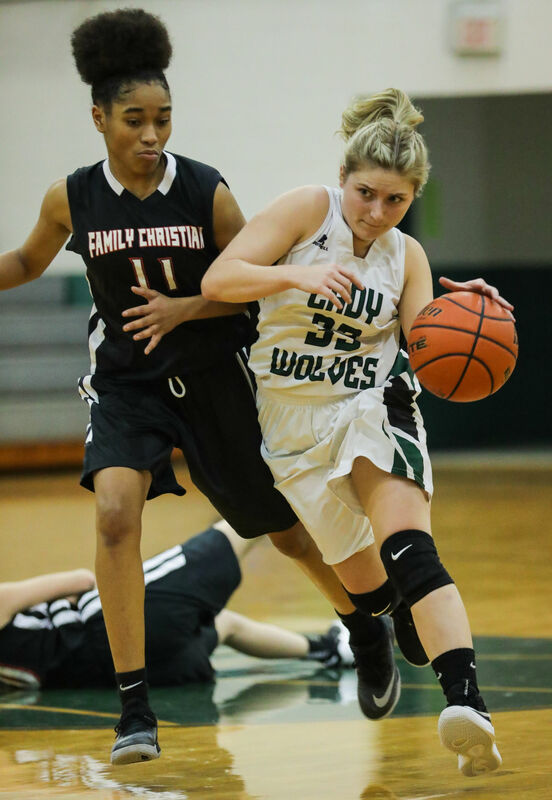 It had everything to do with shooting for the Lady Wolves, especially under the basket. “They told me we were 9-for-26 under the goal, just free-throw, layup range,” she said. “You can’t win a ball game … and then not even shooting 50 percent (7-for-13) from the free-throw line. Our struggle all year – offense. Maurepas led 25-19 on Sloane Bercegeay’s 3-pointer, but Family Christian’s Lexi Rachal hit a 3-pointer and sank a pair of free throws to cut the lead to 25-24. Maurepas’ Keegan Marchand later missed the front end of a one-and-one, but KK Vicknair came down with the rebound, hit a basket and was fouled. She completed the three-point play, giving the Lady Wolves a 29-24 lead with 5:20 to play. From there, FCA went 6-for-6 at the line, and Jamila Smith scored five straight points during a run which gave Family Christian a 35-32 lead with 2:31 to play. Rachal finished with a game-high 26 points, all of which came in the second half, including a 13-for-20 effort at the line. FCA went 20-for-31 from the free-throw line as a team. Maurepas got as close a 36-34 on Vicknair’s free throw with 1:17 to play, but Rachal hit four free throws down the stretch as Maurepas turned the ball over to push the lead to 39-34. The Lady Wolves had 24 turnovers in the game. Bercegeay’s 3-pointer cut the advantage to 40-37 with 9.6 seconds to play, and the Lady Wolves fouled Rachal on the in-bounds play. She hit a free throw with seven seconds left for the final margin. 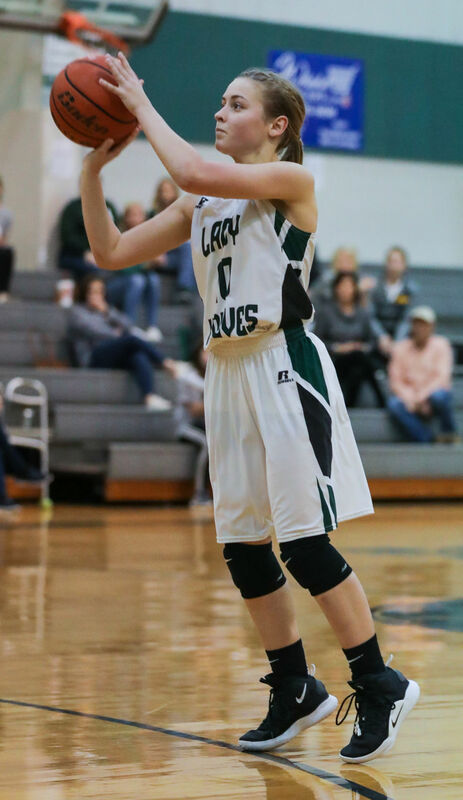 Maurepas led 20-8 in the third quarter when FCA began its comeback behind Rachal, who scored eight points, including consecutive 3-pointers, during a run which cut the lead to 20-18. McKenna Lessard’s bucket pushed the lead to 22-18, but Lessard later missed a pair of free throws. 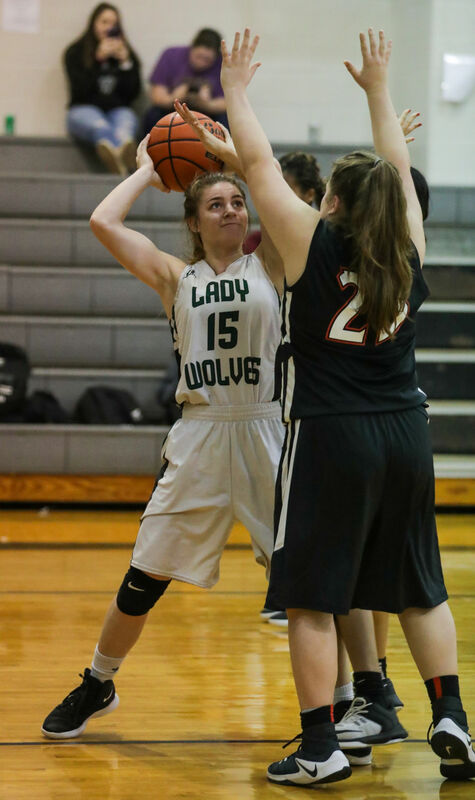 Rachal was fouled on a 3-point attempt with 2.6 seconds left in the third quarter and made one free throw, cutting the Maurepas lead to 22-19 heading into the fourth quarter. Maurepas led 4-0 at the end of the first quarter and expanded the lead on Marchand’s 3-pointer from the top of the key. Family Christian didn’t get its first point until Smith’s free throw with 5:34 to play in the first half. She scored three more points, helping FCA cut the lead to 8-4 before Bercegeay’s 3-pointer sparked an 8-0 burst to close out the first half. Marchand had a steal and layup and Bercegeay added a putback before Marchand hit a free throw with 1.8 seconds left in the first half, giving Maurepas a 16-4 lead at halftime. Bercegeay led Maurepas with 11 points, including three 3-pointers, while Marchand had eight and Vicknair six. Vicknair and Morgan LeBlanc had the only baskets in the first quarter, giving the Lady Wolves a 4-0 lead.